Demonstrates how to use Stacked Column API to render columns grouped side by side. When you add multiple StackedColumnRenderableSeries into VerticallyStackedColumnsCollection for vertical grouping or into HorizontallyStackedColumnsCollection for horizontal grouping it allows to render them stacked one above another or side by side. Data provided by its DataSeries can be used to render an XyDataSeries (which contains one X-point and one Y-point), XyyDataSeries (renders Y values), XyzDataSeries, HlDataSeries and OhlcDataSeries(renders Close values). Columns are drawn using the pens provided by the setStrokeStyle(PenStyle) (outline) and using the Brush provided by the setFillBrushStyle(BrushStyle) (fill). Do you need to change the width of a column? Try calling the setDataPointWidth() method passing in any number from 0.0 to 1.0. This alters how much space a column takes up. The full source code for the Android Stacked Column Chart Grouped Side by Side example is included below (Scroll down!). 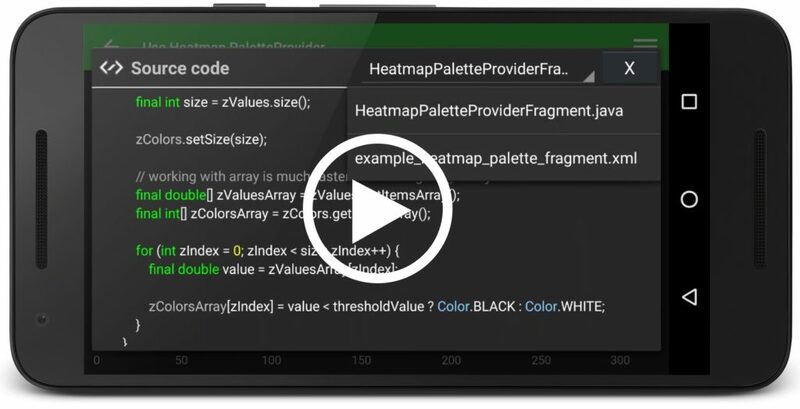 Or, view source and export each example to an Android Studio project from the Obj-C version of the SciChart Android Examples app.